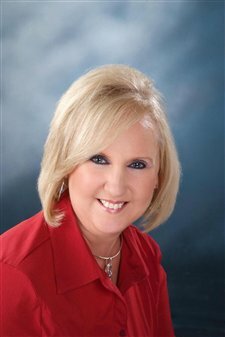 Pamela Cable - Maumelle - Real Estate Agent - Central Arkansas Real Estate - Little Rock Homes and surrounding areas. 7 locations to serve you. *Lifetime resident of Central Arkansas and have been a Resident of Maumelle since 1991. *Mother of two daughters, 2 grandsons & 1 grandaughter! *Past clients are loyal and remember me when making another move and passing my name to family, friends, and colleagues. *Experienced with the process of e-mail communication that best serve my clients!! Dedicated and prompt service throughout the transaction process. *Credentials * Cartus Network Referral Specialist (CNRS) * Cartus Network Marketing Specialist (CNMS) * Certified Cartus Network Affintiy Specialist (includes USAA). *Member of the North Pulaski Board of Realtors (NPBOFR, Arkansas Realtors Association and National Association of Realtors. *Specialties include Relocation, First Time Home Buyers representative, New home construction, Buyer representative, Seller's representative. ****Dedicated to providing my clients with professional excellence!